Pierre Teilhard de Chardin wrote the final words of The Phenomenon of Man in 1938, but it was not to break upon the world until after his death 17 years later. As well as being a famous palaeontologist, Teilhard was a Jesuit priest, and the Church believed he went beyond orthodoxy in his philosophical writings; their publication was consistently disallowed. Anyone else might have left the priesthood or at least become embittered, but Teilhard did neither. Perhaps strangely, for such a liberated mind, he kept to his vow of obedience. The effect of isolation, intellectual and physical (he was banished to China to pursue scientific work) was a fermentation of thoughts that are incredibly free-ranging and radical, and some of his ideas are only just beginning to make sense. The worth of visionaries is only proved by the passage of time, but as we enter the 21st century there can be few people who provide us with a more compelling vision of the human race and its potential. The Phenomenon of Man is not a self-help book in any conventional sense, but its influence on writers in the human potential and personal development fields is significant. Although abstract, its ideas about mental and spiritual evolution are enjoying a renaissance because they tie in perfectly with the explosion of possibilities for the individual in wealthy societies. Teilhard’s evolutionary theory was about the mind as well as the physical world. He believed it was not enough that we had worked out that we had evolved from the apes - our task was to reach the point where we knew why we had evolved. The evolutionary biologists of today have ample evidence that the human brain has not changed in thousands of years, but just because we have the same brain structure does not mean we are the same beings. Teilhard believed that when humankind began living in the state of reflectiveness, our progress was inevitable; we would enjoy ‘not only survival, but super-life’. Teilhard was perhaps uniquely suited to the task of applying evolutionary science to the bigger questions about human destiny. Regular scientists were afraid to speculate, and not many men of the cloth had his scientific background and sheer intellect. As a palaeontologist and anthropologist, Teilhard was intent on discovering the origins of man; but it seemed obvious to him that the more we know of the past, the further we could look into the future. Although he saw The Phenomenon of Man as a scientific treatise, he was impatient with overspecialisation, and took the paradoxical position that science could only come of age when it went beyond seeing man only in terms of the physical body: 'The true physics is that which will, one day, achieve the inclusion of man in his wholeness in a coherent picture of the world'. Teilhard's human being was a phenomenon which had yet to be properly explained either in the sciences or the humanities, and the quests, achievements and events of human history had to be looked on as one whole movement. We are now so used to the word 'mankind' that it has almost ceased to be an idea, yet in fact it is a very young idea, based on the recognition of unity, despite all the wars, division of territories and cultural differentiation. For Teilhard, man is not the centre of the world, but the ‘axis and leading shoot of evolution’. It is not that we will lift ourselves above nature, but in our intellectual and spiritual quests dramatically raise the complexity and intelligence of nature. The more complex and intelligent we become, the less of a hold the physical universe has on us. ‘Hominisation’ was the process of humanity becoming more human, or the fulfilment of its potential. Though he delved into the physics of the cosmos and the subterranea of the earth, Teilhard always came back to the human person or personality. In an address to UNESCO in 1947, discussing the possibility of a new Declaration of the Rights of Man, he urged provision not for the autonomy of individuals, but for '…the incommunicable singularity of being which each of us possesses'. This sounds lofty, but means: the human race is never going to progress by people seeking to transcend it, or through individualism, but rather we would move forward as a race by making room for everyone to express their personalities to the full. As humankind becomes more technologically advanced, it also becomes more interested in the spiritual dimension (he called this 'interiorisation'). Yet evolution does not work impersonally and at an even speed; it happens by leaps, and it always comes back to someone. In 1925, Teilhard coined the word 'noosphere'. Just as the biosphere is the living shell around planet earth, the noosphere is its mental counterpart, an invisible layer of thought around the earth which is the sum total of humankind's mental and spiritual state, all culture, love and knowledge. He foresaw that each person would eventually need the resources of the whole planet to nourish them both materially and psychologically. It would work the other way too, for the influence of each person would defy time and space, when once his or her impact would have been restricted to their physical locality. As the world shrunk, we would cover it with our thoughts and relationships. The noosphere concept has clearly come of age in the networked society. It has had a huge influence on computer and Internet theorists, who recognise that Teilhard saw the Internet 50 years before it happened. The concept also preceded James Lovelock's 'Gaia' concept, by which we understand the planet as one living organism. Teilhard said that as humanity became more self-reflective, able to appreciate its place within space and time, its evolution would actually start to move by great leaps instead of a slow climb. In place of the glacial pace of physical natural selection, there would be a supercharged refinement of ideas that would eventually free us of physicality altogether. We would move irresistibly towards a new type of existence, at which all potential would be reached. He called this the Omega Point. The Phenomenon of Man is not an easy book to read. Some of the language may be impenetrable, but let’s remember Teilhard never had a proper audience to test his ideas and give feedback. (Those wanting bite-sized essays may prefer The Future of Man or Le Milieu Divin.) It is nevertheless his most important and well-known book, and its influence only seems to grow. Teilhard's idea of super-life may seem like a castle in the air, but he was of the view that a truth seen by only one person was still a truth, and would eventually be accepted by all. Though his book was a bestseller after his death, the terrible realities of life in the 20th century naturally and understandably undermined the idea that we were steadily moving towards some marvellous 'omega point' in our destiny. Still, spiritual progress and intellectual advancement can exist simultaneously with evil, and Teilhard in fact saw things like totalitarianism as a natural part of social evolution, which would be superseded by better forms of organisation and community. The Phenomenon of Man is a self-help book of the highest order. 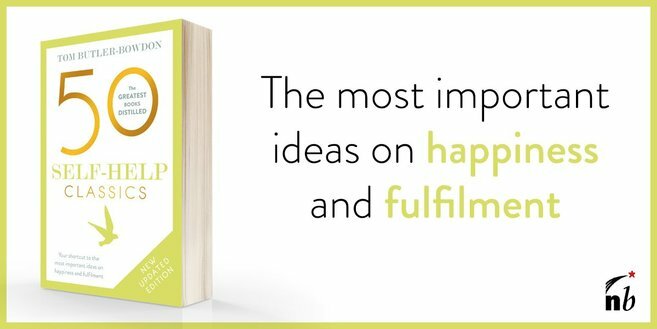 The author supplied a set of ideas which can lift us beyond the place and time of our individual lives. By thinking big about the whole race, we can face our personal task with greater clarity and force. It is a cliche for people to say when gazing up at the cosmos, 'You realise how insignificant you are'. This is a sentiment Teilhard would not have shared. In his philosophy, every soul has a vital role to play in the evolution of the world, and aware of the humility of Teilhard himself, we know that this does not have to mean having a big ego. Rather, it requires a person's utmost expression of their personality and abilities. Born in 1881 in the Auvergne region of France, Teilhard was fourth in a family of eleven. He became a boarder at a Jesuit college at age 10, and at age 18 entered the Jesuit order for six years. At 24 he was sent to teach physics and chemistry at a college in Cairo, where he stayed for three years, followed by four years of theological study in Sussex, England. During this time Teilhard became a competent geologist and palaeontologist, and was finally ordained as a priest in 1912. His return to Paris to pursue geological studies at Museum of Natural History was thwarted by the outbreak of World War One. He became a stretcher-bearer, receiving a Military Medal and the Legion of Honour. After completing his doctorate at the Sorbonne, in 1923 the author went to China for a year on behalf of the Museum of Natural History. He was to spend 20 years there from 1926, virtually exiled by the church for his teachings on original sin and evolution. Teilhard made significant contributions to the paleontological and geological knowledge of China, and was in the group that found Peking Man. He was allowed back to Paris just after the war, enjoying its intellectual life until a heart attack in 1947 brought a forced convalescence in the country. Teilhard’s writings were left with a friend to be published after his death.